Experiments with mice have shown that up to 50% were living without any trace of cancer 8 months after initial treatment. 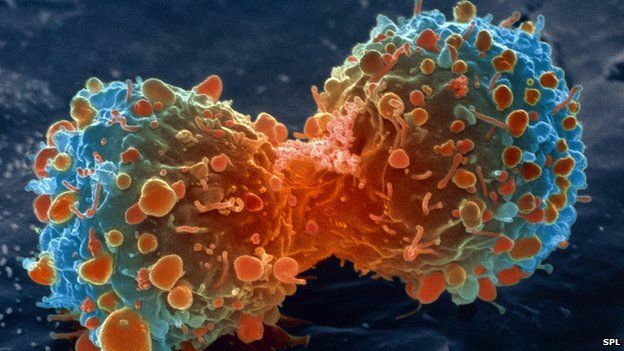 In essence, cancer arises when a cell’s division mechanism breaks down and begins dividing uncontrollably, resulting in the development of tumors. When these out-of-control cells spread elsewhere, we have what is known as “metastasis.” which results in the development and spread of secondary tumors in the lungs, liver, and a host of other tissues. These secondary tumors, also known as metastatic tumors, present the greatest risk and complications to cancer patients. Now new research may help provide an approach to eradicating the spread of these cancerous cells. Led by Mauro Ferrari, a nanomedicine expert, a team of researchers has developed a method in which these spinoff tumors are ‘tricked’ into consuming poison. The main component of this method is an agent called doxorubicin (dox), which has been used for years in cancer treatment, and the results in mice studies have shown this new method to be highly effective. 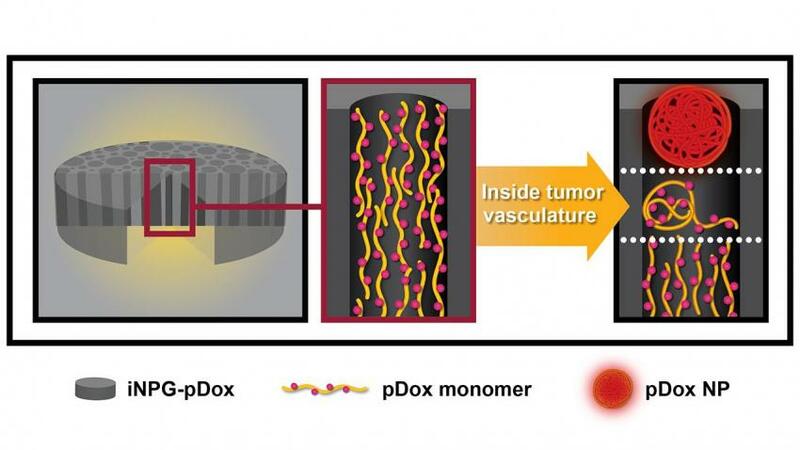 Dox eliminates cancer cells by jamming up DNA in the cell nucleus to prevent cell division. However, in the bloodstream, dox also negatively affects heart muscle cells and could lead to heart failure. To ensure that only tumor cells were killed, the researchers encapsulate the drug within a drug carrier. For years, the team has been developing porous silicon particles for this purpose. With its small size and disklike shape, it is able to travel through normal blood vessels. Blood vessels near tumors are usually malformed and leaky ,which cause the particles to pool near the tumor. This allowed the drug agents to be delivered only to the tumor. That wasn’t the only problem researchers had to overcome. After delivering the agent, most tumor cells have membrane proteins which essentially act as tiny pumps that moves the drug outside the cell before it can have any effect. To counteract this defense system, the researchers linked the the dox molecules to stringlike polymer. In their mice studies, they’ve found that the silicon particles coalesced in and around the tumor sites. The particles slowly degraded over a period of 4 weeks. As the particles degraded, the polymer strands were released, which coiled into tiny balls inside the tumor. Each ball is just 20-80 nanometers across, the same size as vesicles, components that are regularly exchanged by cells as part of normal chemical communications. As a result, the dox-polymer balls were taken up by the tumor cells, which allowed the dox to be ferried around the cell including near the nucleus. While the researchers were unable to determine why this occurred, this movement towards the nucleus allowed the dox to take effect. The links between the dox molecules and polymer were designed to dissolve under acidic conditions similar to that found near the nucleus, thus allowing dox to be released where its potency would be most optimal. In relation to other trials regarding nanomedicine, this new method seems to be more promising, as it tends to target tumors in the liver and lung, common places for metastatic tumor cells. Incidentally, it also provides the possibilities of adapting the method for other agents. Could Resonant Frequency Lead to a Less Intrusive Cancer Treatment?